Easy Retired Millionaire Review - Another Scam? 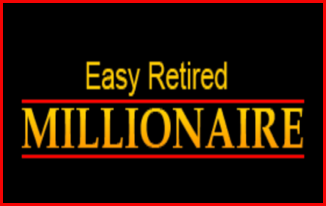 Easy Retired Millionaire Review – Another Scam? Recently come across this system called Easy Retired Millionaire and looking for a review? You're in the right place! I'm going to be taking a deeper look inside to find out and let you know if this is legit, or if it's just another scam. Can you really become a millionaire using this? Keep reading to find out! I've bought into enough of these scams over the years to be able to recognise them instantly these days. They're all the same. Just take a look at my Cash Money Sites review or my 30 Day Success Club review. You'll see that they all have a lot of similarities and a lot of red flags! Right at the very start of the sales video, he shows you a clip of someone holding thousands of dollars and then says that you can receive paychecks of $15,000 every week, straight to your front door with only 12 clicks of your mouse. This claim is absolutely ridiculous. Why would you get checks sent to your house if you're using an online system, do you have a boss? Who's sending these checks? And 12 clicks to become a millionaire? I mean.. do I really need to explain why that's a red flag? He also say that all of these commissions will be earned by doing no extra work. Again, this claim is just simply ridiculous. I've been doing this long enough to know that you can't earn money without doing any work. I wish it was that easy, but it's just not. So any system that says this, they're definitely not to be trusted. Because they are lying to you. They even say that while you're watching this video, they have already made your account and they're going to be putting in commissions while you're watching the rest of the video. Okay, now this is just getting stupid. There's so many things wrong with this. One, how have they made your account while watching? The video isn't live. Two, he'll be adding in commissions while you watch the video? Just ridiculous once again. I've said this in every single one of my reviews, if somebody says that a system is 100% automated and you don't have to do anything. They are 100% lying to you. Nothing is that easy. If it was that easy, why would they sell this for only $47? Red Flag 5: How Does The System Even Work? I'll make this the last red flag because I'm getting bored myself writing all of these. There's just so many. But anyway.. How does Easy Retired Millionaire even work? Throughout the whole sales video and on their website, they don't once mention how you're going to be earning this $15,000 per week. Why would you give someone your money, if they don't even tell you what you're getting? You wouldn't. Or shouldn't anyway. The Verdict – Is Easy Retired Millionaire a Scam? Yes, Easy Retired Millionaire is a scam and should be avoided at all costs. I've given you enough warning signs to show you everything that's wrong with this system. That's not even all of them, I could go on and on..
Do not waste your time or money on this scam. Just stay away from it. 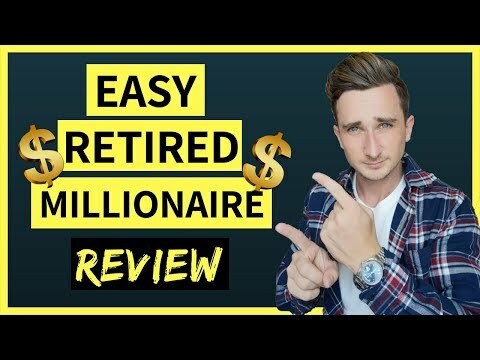 Check out my Easy Retired Millionaire review video I did on the Digital Millionaire YouTube Channel. Don't forget to subscribe to stay up to date with reviews and find out other ways to make money online in 2018. Crypto Prophecy Review – Scam or Legit? Neobux Review – Earn Money Clicking Ads? !